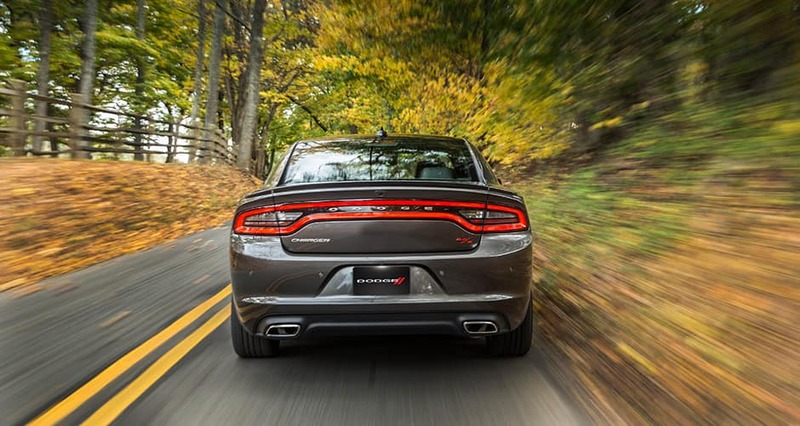 The 2016 Dodge Charger is a four-door sedan that brings the looks and feel of a muscle vehicle. With up to nine trim models to choose from such as the SE, R/T, the R/T Road Track, and plenty of others. All equipped with plenty of exterior and interior applications and features to choose from, along with its under the hood powerful engines and transmissions. The Charger is making a statement with its horsepower performance and wont disappoint. The Dodge Charger offers a few engines and transmissions right under its hood; and with nine different models to choose from, you'll have plenty of options open. One of the options for engines is the 5.7-Liter Hemi V8 Engine, an eight speed-shiftable automatic transmission with an overhead valves (OHV); the Hemi offers plenty of power with 370 horsepower at 5,250 RPM and torque pressure of 395lbs-ft at 4,200 RPM. With excellent fuel efficiency, the Charger offers plenty with an EPA-estimated 16-city/25-highway MPG and on an 18.5-gallon tank can range up to 296-city/463-highway total miles. Another cool feature that Dodge brings is the Performance page installed for certain models. The Performance pages are a technology feature that helps improve the performance of the engine through its transmission, steering and throttle response. When it comes to the performance of the steering, the sedan offers electronic steering with three modes to choose from, along with Launch control, which is included in the performance page to monitor and track the performance. The Dodge Charger offers plenty of exterior features that will make passing drivers turn their heads. One of the models that offer certain exterior features is the SXT AWD; the model offers 18-inch cast aluminum wheels, gloss black grille with gloss black crosshair design and heated exterior mirrors. Bi-functional high intensity discharge projector headlamps are placed on opposite sides of the front grille, and a power sunroof is placed above with tilt sliding features. With the interior comes five-passenger seating that comes with heated front seats for the cold nights, premium cloth sport seats, heated steering wheel, and dual zone-automatic temperature control system. For the technology and entertainment features comes its Uconnect Access system that features an 8.4-inch touchscreen, SiriusXM Satellite Radio, Bluetooth hands-free/ streaming audio, an electronic instrument cluster, steering wheel mounted control system and much, much more. Is there a way to see if my vehicle is recalled? What other Dodge Vehicles do you current have in stock? We have the 2016 Dodge Dart and the 2016 Dodge Grand Caravan. When it comes to the safety of the Charger, the sedan offers up to at least 60 safety and security features to choose from. Some of the features include standard airbags, a three-mode electronic stability control system, all speed traction control, a center high-mount stop lamp, dual note electronic horns, electronic roll mitigation, inside emergency trunk lid release and much more. The 2016 Dodge Charger is looking to take the sedan class by storm with its muscular looks and sleek/ smooth exterior design. 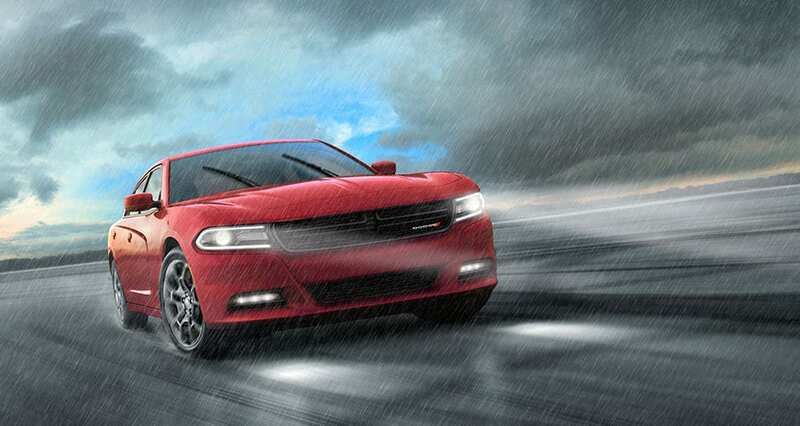 The Dodge Charger is a no-brainer to choose when at Reedman Toll's Chrysler Dodge Jeep RAM dealership.